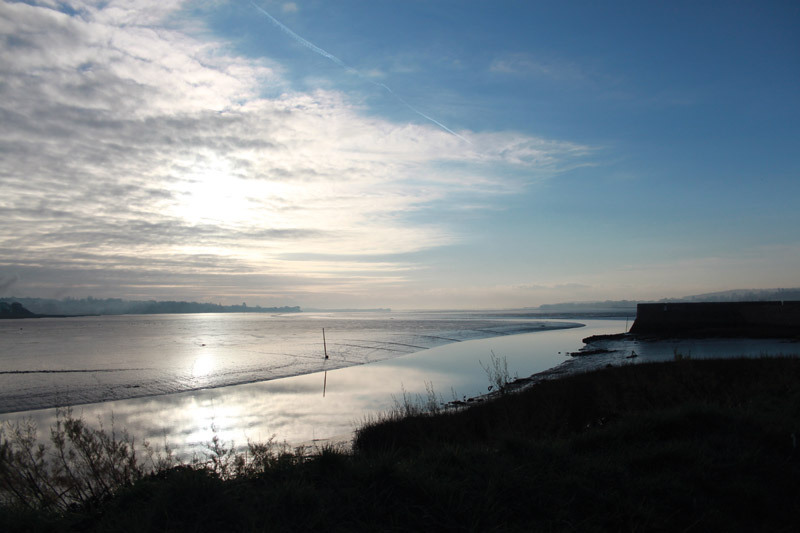 Enjoy this scenic circular walk stopping off at multiple bird hides along the Exe Estuary. Starting from the bottom end of Dart’s Farm car park, near Cotswold Outdoor, head back to the entrance to the car park onto the main road and turn right onto the path towards the crossing. 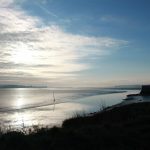 Once safely across the road, turn right and then immediately left onto the Exe Estuary Trail – an area that is designated as a Site of Special Scientific Interest. Continue on this tarmac trail alongside a high wooden fence until you emerge between some quaint cottages. Continue straight ahead to the blue trailmarker sign where you will turn right towards the estuary. 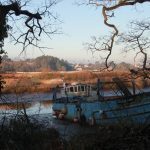 Then, go through the wooden gate to the left of the entrance to the industrial estate and continue along the trail alongside the estuary on your right. 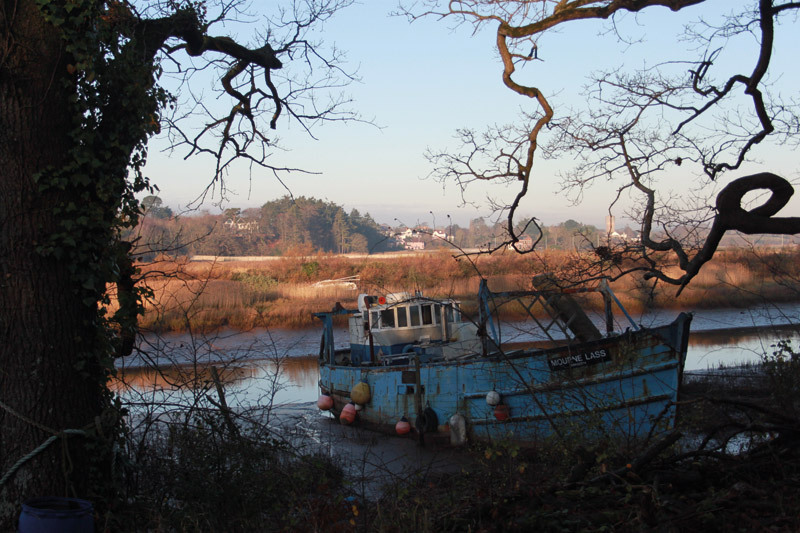 Here you can examine the well-weathered boats that are moored along the bank while making your way along the path. 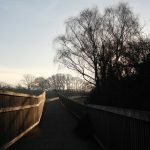 After a little while you will take the first turning right onto a large footbridge, parallel to the railway bridge, that takes you over the estuary and into Goosemoor Nature Reserve. 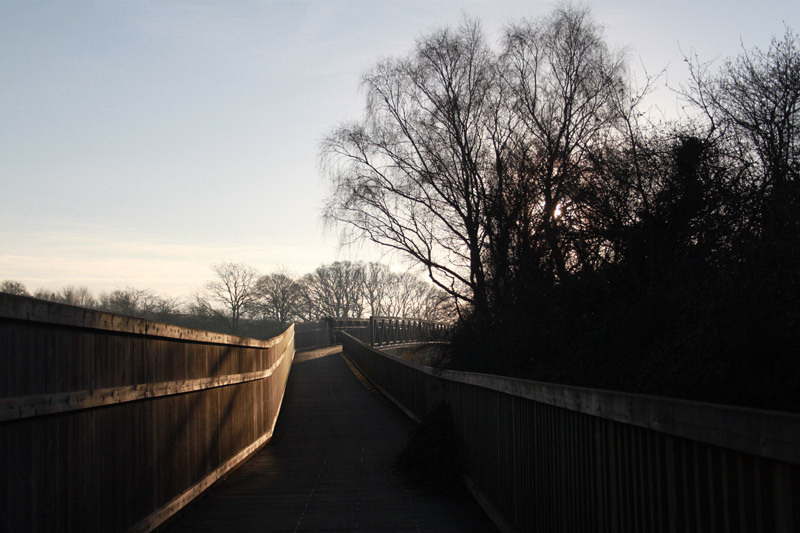 Take your time walking along this boardwalk section through the marshland and stopping to look through the numerous purpose-built bird hides out over the reed beds. 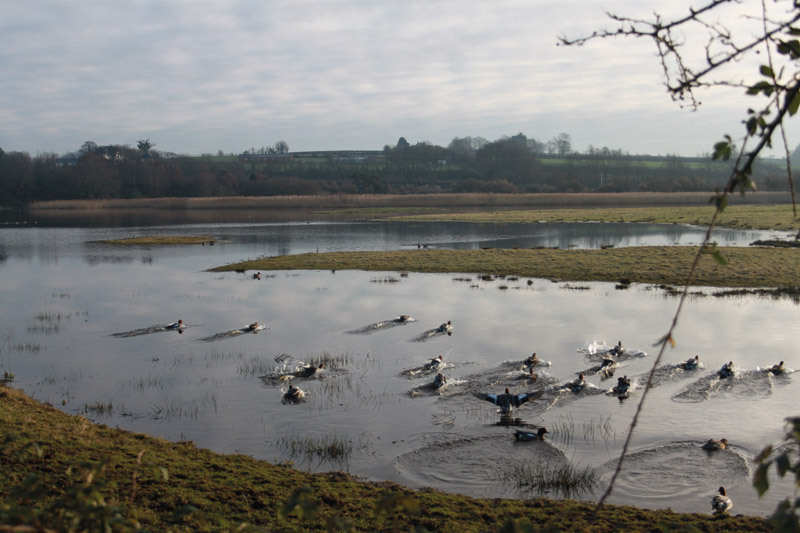 This area of saltmarsh and mudflats attract a wide variety of waterbird species all year round, from roosting wigeons and shovelers in winter to black-tailed godwits and other migrant birds during summer. 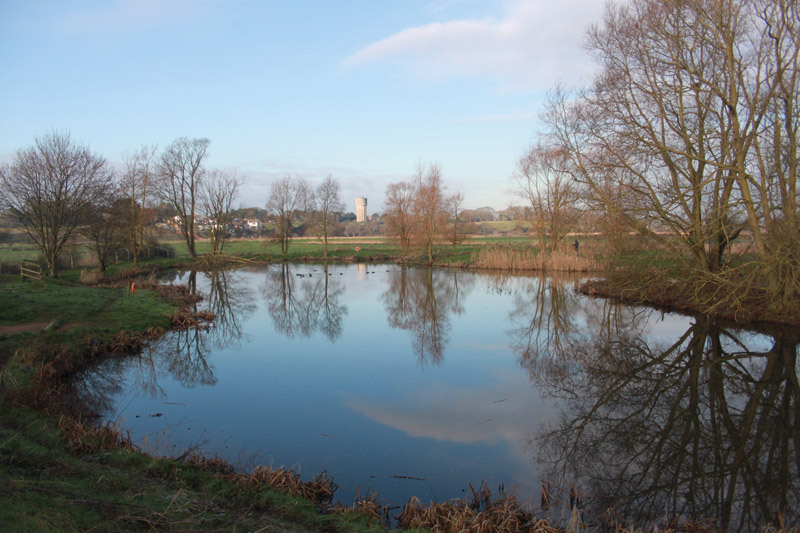 The mud is full of nutrient-rich invertebrates and aquatic species to ensure visiting birds are well fed. Once at the end of the boardwalk the path will turn 90 degrees to the left, heading under the railway bridge. 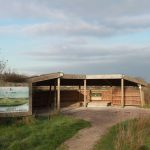 It’s at this point you can take an optional detour to Bowling Green Marsh Nature Reserve to enjoy the sheltered bird hide just 300m down the road and a viewing platform nearer to the mouth of the estuary 400m further again. 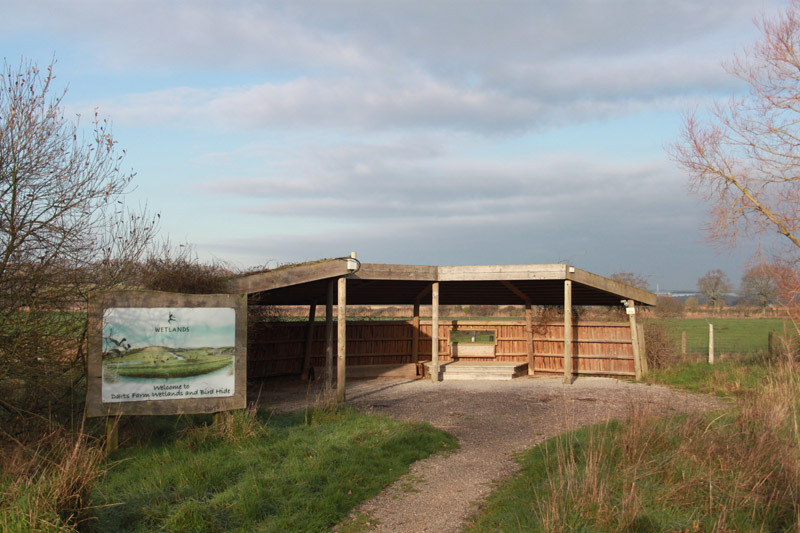 The bird hide has a section that is open all year round to the public but there is also a furnished section with binoculars and information that is open on weekends so that children and families can learn more about the reserve and take part in some bird spotting with a knowledgeable guide. Once done, head back up the quiet lane to the railway bridge where you came from originally. Instead of going back through the gate, turn left and continue along the lane up the hill past the 20mph speed limit signs as you head back into the outskirts of Topsham. Once at the top of the hill, follow the road to the right over the railway line (being careful of any cars as there is no footpath here) and continue along the road until you reach the main road. 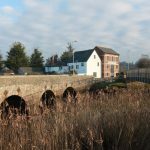 Turn right here down the hill and past the Bridge Inn on your left – one of the few remaining traditional real ale inns with an estuary-side beer garden – as you make your way back along the footpath on your return to Dart’s Farm. 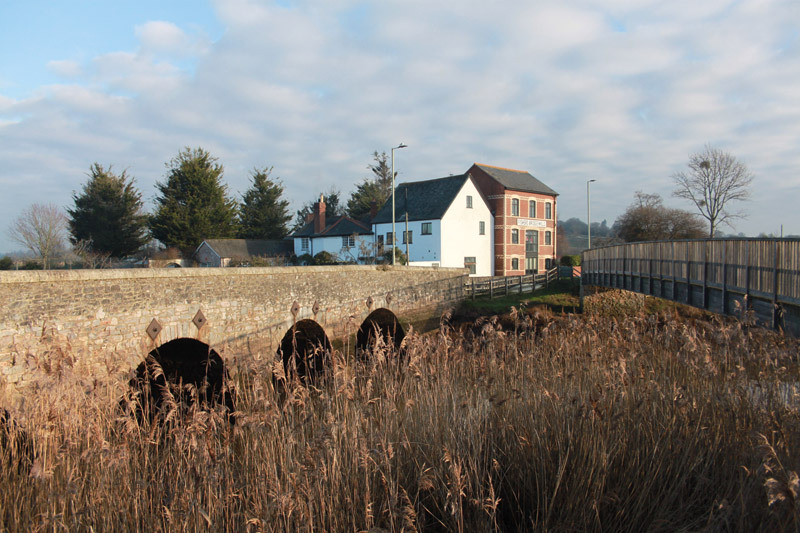 Take note of Fisher’s Bridge Mills as you pass – a former tidemill which later became a steam mill that was in operation up until 1960. 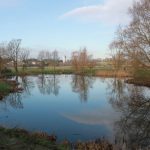 Back at Dart’s Farm, entering from the south entrance once again, walk through the car park with the playpark on your left and take the gravel lane signposted to the wetlands and bird hide. 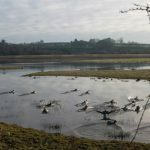 Here you can enjoy another chance to spot some of the local and visiting birds in this newly built wetland project in conjunction with the RSPB and Natural England. Binoculars can be hired to use here from £3 per day. 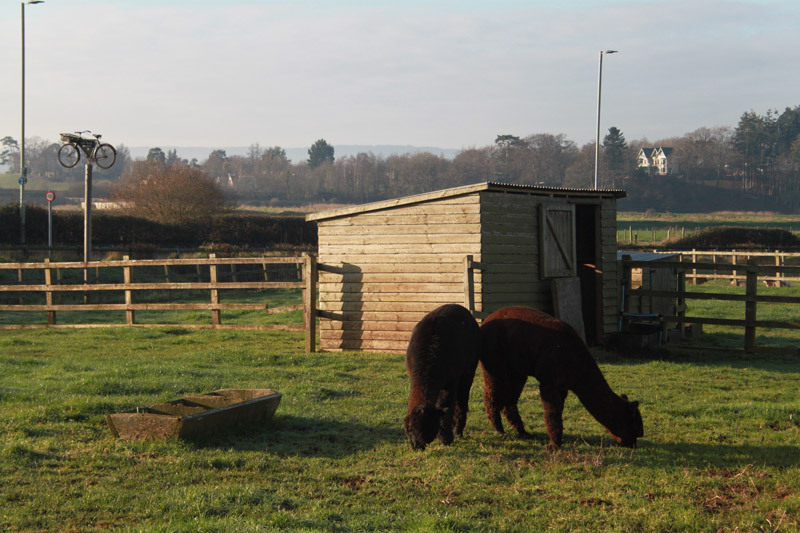 Children will enjoy burning off any excess energy in the bespoke wooden play area next to the car park, equipped with things to climb, explore, swing and slide about on, as well as being able to make friends with the friendly Dart’s Farm alpacas that live just next door. 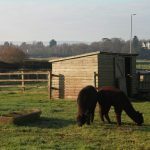 After a day of walking and bird spotting you can refuel at Dart’s Farm café and even partake in a spot of shopping in the farm shop – selling home-grown seasonal produce for over 40 years – before heading off home.